David is a Professional Scrum Trainer with Scrum.org. He works to improve the profession of software delivery. He helps organizations deliver products of the highest possible quality and value. His career highlights the intersection of business, technology, art and education. 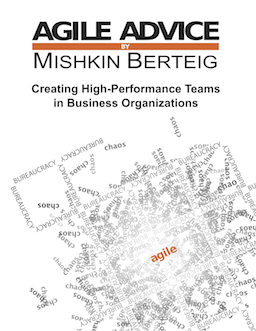 With his broad experience, he helps organizations and teams understand agility at all levels: practice and delivery, leadership and stewardship, organizational design and culture. David is a Professional Scrum Trainer, Agile Business Consultant, Product Expert, Technical Coach and Software Engineer, Public Speaker, Executive Director of Ontario Scrum Community®, TEDx Alumnus, Musician, Husband and Dad. David works primarily in the Toronto area. Contact David about Private Agile/Lean & Scrum training for your organization. Or register for his upcoming courses at https://scrum.works. Teams are often pressured by business stakeholders to “go faster” and deliver new features quickly at the expense of quality. This pressure leads to technical debt unless the team stands strong. Engineers and developers, you have a responsibility to your teams, your profession, and to yourselves to uphold high standards. Yes, learn and incorporate techniques which enable you to deliver frequently but take care to also ensure that your code meets or exceeds your definition of done. Hey! Let’s all work together, please. Technical Debt is a term which captures sloppy code, unmaintainable architecture, clumsy user experience, cluttered visual layout, bloated feature-sets, etc. My stance is that the term, Technical Debt, includes all the problems which occur when people defer professional discipline — regarding any/every technical practice such as product management, visual and UX design, or code. “Design debt is more dangerous because…” written by James Engwall. I agree with Andrew Chen that Product Design Debt is a problem — I just don’t like that he chose to impose a dichotomy where there is none. Why must he argue one “versus” another? Clinton Christian has implied that we’re in a “battle”. James Engwall has compared the “danger” of Design Debt relative to Technical Debt. These words are damaging, I argue, because they divert attention to symptoms and away from root causes. The root solution to Technical Debt — all of its forms — is to help business leaders realize there is a difference between “incremental” development and “iterative” development so they may understand the ROI of refactoring. No technical expert should ever have to justify the business case for feature-pruning, refreshing a user interface, refactoring code, prioritizing defects. Every business leader should trust that their technical staff are disciplined and excellent. Yes, please blog about UX Debt and Product Development Debt, etc. But please do so in a way that encourages cohesion and unity within the Product Development community.